Electronic money is a fairly recent invention in the history of money and commerce, and typically means that currency with real value, and which can be exchanged for traditional cash, is instead entirely digital (or virtual). Electronic money only exists in digital format, and can be primarily based on the Internet or on smart cards that maintain a record of their stored value. 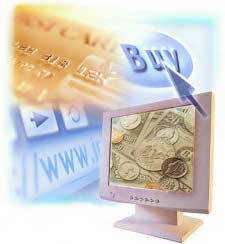 Transactions carried out electronically are also known as electronic money. 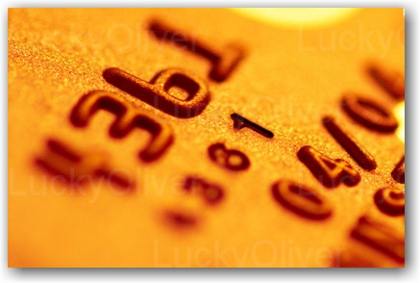 Other names for electronic money include e-money, digital cash, digital money, digital currency, or electronic cash. The age of he computer has made possible the creation of electronic money, and began back in the 1960s when IBM and American Airlines jointly created a system kown as SABRE (Semi-Automatic Busines Research Environment) which allowed offices of American Airlines to be fitted with terminals connected to telephone lines that would allow agencies to directly check flight times, seat availability, and then electronically make reservations that could be paid for using a system of credits. By the 1970s banks in the US and Europe had started using mainframe computers to track transactions between branches and other banks, a system that proved particularly successful across international boundaries when currency exchange was needed. Initially, any transactions that had been initiated but not cleared were effectively in limbo, and as computer use spread within corporations, tracking funds that were processed electronically became an important financial consideration. Consumer uptake of electronic money first started to be noticed in France with the introduction of the Minitel service in 1982 that operated in a similar way to pre-Internet bulletin boards. Countries like the UK and the US had developed basic teletext services that allowed televisions to display text such as program guides, weather, game show results, or news directly onto the television screen, with users keying in page numbers on their TV remote control to access pages. The teletext system was a simple one way service, and whilst it was useful, it didn’t allow users to query data. 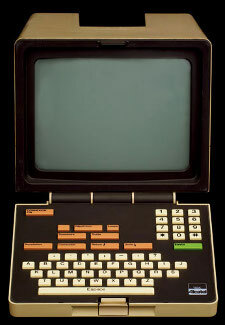 The French Minitel service by contrast used a dumb terminal with built in modem and since the service operated over standard telephone lines and the terminals were equipped with full AZERTY keyboards, it was possible for subscribers to type messages, or search queries, a fundamental difference from teletext services. The French Minitel terminals were given away free to over 9 million households encouraging French business entrepreneurs to offer Minitel shops such as travel agencies, flower delivery, As Seen on TV, music catalogs and more. Payment could be made using credit card or charged to the telephone account, marking the first use of electronic money in the consumer market. A slightly similar service had been launched in the UK in 1979 named Prestel but supported equipment was expensive and a Prestel based retail service didn’t develop with the exception of package tour travel agencies who would provide quotes but still required customers to call and arrange payment over the phone. In 1983, a service known as Homelink started withthe support of the Bank of Scotland and Nottingham Building Society where account holders could subscribe to a special Prestel service that allowed online banking, and marks the first recorded use of electronic money. In the US, similar services to the French Minitel and the UK Prestel existed, but without dedicated hardware, users would own their own micro-computers and modems and pay to dial into a local bulletin board service such as Compuserve or TheSource, however transactions for products and services were not offered until 1989 when US grocery delivery company Peapod was founded in Evanston, Illinois and sold a dial-up disk with software allowing customers to order and pay for groceries that the company would later deliver. 1991 saw the introduction of the Internet in the consumer market with the disbanding of the Arpanet network, and the creation of the NSFNET backbone formed by IBM, MCI, and Merit. CERN also released Tim Berners-Lee’s HTML specification that allowed easier display of Internet data. It wasn’t long until America Online took advantage of the new Internet and then in 1992, started offering retail services directly to their subscribers who could pay using a credit card, and firmly ushering in the era of electronic money. 1-800-Flowers was one of the first AOL retail partners. In 1994, and taking a lind leap of faith that the Internet would help their business, Pizza Hut adopted the same model used by Peapod, and thus allowing online pizza ordering, with a choice of payments, credit card vie he Internet, or in person on delivery. The same year J.C. Penney start their first website offering a department store on the Internet, sales are slow but company shareholders are happy to see the corporation taking the initiative. The late 1990s were a pivotal moment for electronic money as Amazon.com is launched in 1995, and then in 1998 PayPal is formed to make it easy for consumers to spend money online without risk of their credit card number being stolen. PayPal’s innovation was to offer a virtual account for consumers that could be topped up using a credit card or wire transfer, and then an email address used to send and receive funds. The services offered by PayPal marked the true beginning of electronic money as being distinctly different from traditional over the phone and online credit card processing. Further developments in the electronic money industry saw PayPal’s model copied by other providers, along with new ideas for securing customer funds using the gold standard or silver, platinum, or palladium, yet still offering the flexibility of sending and receiving payments with an email address. Virtual currency backed by precious metals can be exchanged for any supported currency, but is typically tracked as direct comparison of the price the precious metal is fetching in the international precious metal markets. Webmoney, e-gold, and eLibertyReserve have become the biggest gold backed electronic money providers. Electronic money virtual wallets provided by major corporations such as Verisign started to become available, encouraging an explosive growth in eCommerce. The first years of the new millenium saw the creation a number of cryptographic techniques for the prevention of personal data, and strong growth in the use of electronic money as a primary medium for payments and transactions. In the US, most banks began offering online banking facilities connected to payments options that allowed utilities and credit cards to be paid using any public computer. Private currencies also proliferated around the same time, originally spurred by the demand for some form or marketplace within networked games such as World of Warcraft and Second Life. Private currencies are sometimes redeemable for real world currencies at a fixed rate pegged to the dollar or other major currency. Since those times, private currencies have developed in many forums and webmaster services as a means of offering advertising amongst members, the most famous of these perhaps being Entrecard, a service where users visit other blogs and are paid in Entrecard Credits, which become redeemable for cash once a reserve level has been met. In the offline world, perhaps the most successful electronic money has been facilitated with stored value cards that are denominated in local currency. The United States Military designed a stored value card known as Eagle Cash that provided an advance on a soldier’s earnings and could be used in base shops and canteens by simply presenting the chip side of the card for swiping. In Hong Kong, a stored value card originally designed to make subway ticket purchases quicker has become a defacto cash card now accepted by a majority of retailers and utilities in the city.